Welcome to the first issue of our e-newsletter! Our goal with this communication is to keep you informed on the news and developments related to Kent County. We want to ensure our correspondence is not overwhelming and that the content is relevant. With that said, we welcome any feedback as we seek to improve each issue. Please feel to contact us with any questions, insights, or ideas. Also, if you do not wish to receive this newsletter, please e-mail us and include "unsubscribe" in the subject line. The Friend of the Court (FOC) recently issued its first report detailing its efforts to implement the recommendations established by the FOC Community Engagement Task Force (FOCCETF). The 14-member FOCCETF was established by the Board of Commissioners in 2016 to provide recommendations on how to increase community engagement and to establish best practices for child support bench warrant enforcement. Commissioner Bulkowski chaired the Task Force, and Commissioners Koorndyk and Voorhees served along with County and city officials and community leaders to provide specific recommendations on how resolve issues without having to issue a warrant. The report also highlights the fact that Kent County is only one of two counties statewide with an FOC Citizen Advisory Committee. This group will continue to review the FOC’s performance measures to ensure ongoing accountability in addressing the concerns previously raised by community members about the FOC operations and enforcement practices. We are pleased to announce and welcome Martha Burkett as the new Kent County Veterans Services Manager. She will provide the leadership needed to plan, organize and direct services, activities, and programs related to veterans and military services and benefits. Martha brings a wealth of experience to this role including working as a counseling psychologist with Army veterans in Grafenwoehr, Germany and as the Substance Use Section Head for the U.S. Marine Corps at Corps Headquarters in Quantico, Virginia. Most recently, Martha was the Director of Comprehensive Treatment and Recovery Services for Amarillo (TX) Recovery from Alcohol & Drugs where many of the clientele were veterans. Originally from West Michigan, she has a bachelor’s degree and two master’s degrees from Western Michigan University. Martha begins her new position on Monday, Dec. 17, 2018. The Kent County Parks Department is working on its five-year planning process. The Michigan Department of Natural Resources Trust Fund requires municipalities to have a current five-year plan on file to apply for grants. More importantly, the planning process ensures the Parks Department regularly reviews and updates its vision, goals and needs, and is working to meet identified priorities. As part of the process, the Parks Department is encouraging residents to review the proposed plan and submit comments by Nov. 26. 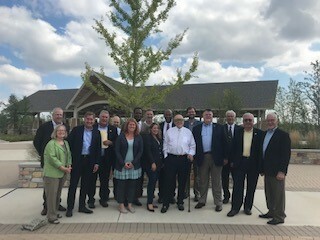 On a related note, Ambassador Secchia hosted several Commissioners on a tour of Millennium Park, which provided the opportunity to visualize the sites and issues discussed at Board meetings regarding the proposed master plan. 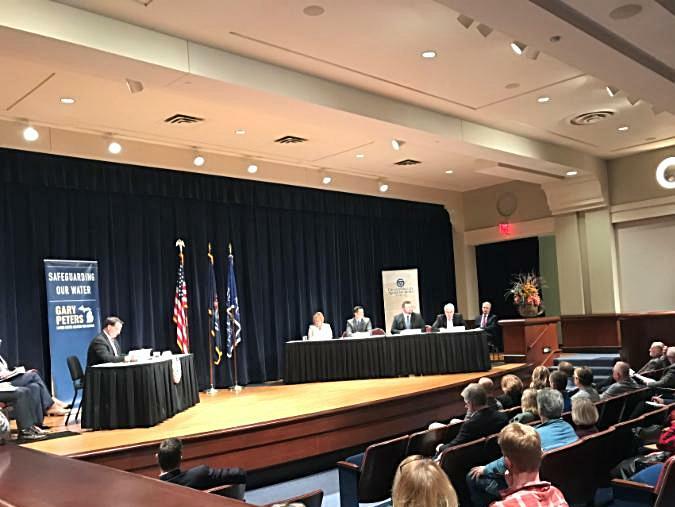 field summit titled “Local, State and Federal Response to PFAS Contamination in Michigan.” Adam London, Administrative Health Officer, Kent County Health Department (KCHD), spoke at the hearing regarding the need for a national strategy to confront this environmental and health issue. Specifically, he urged Sen. Peters and his colleagues to establish a federal drinking water standard for PFAS contamination and to appropriate additional resources to support local efforts in monitoring the ongoing crisis, cleaning up contaminated sites, and preventing further harm to our residents. Other panelists included an impacted resident, researchers, and federal and State policy experts. Sen. Peters summarized four key findings that emerged from the expert testimony – a federal drinking water standard must be established; reliable and transparent data is lacking but necessary to fully understand and address the crisis; research is needed for alternative substances in lieu of chemicals found in the toxic per-and polyfluorinated family called PFAS; and additional resources need to be allocated to local communities. The County appreciates Sen. Peters’ continued leadership on this issue, and we will continue to work with our State and Congressional Delegation to develop a long-term health and environmental remediation strategy. 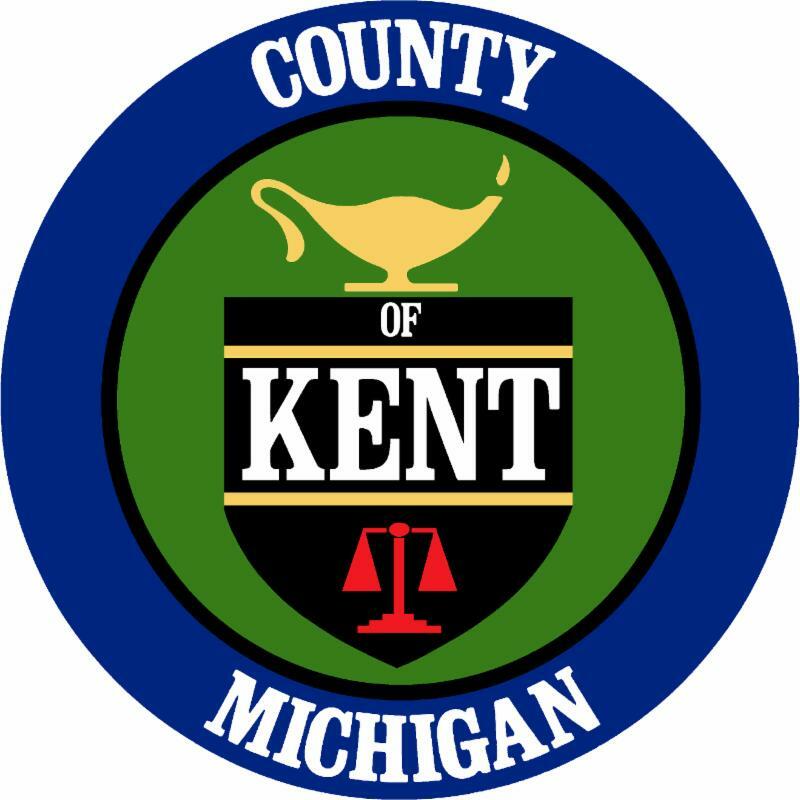 Additionally , the KCHD and the Michigan Department of Health and Human Services (MDDHS) will jointly conduct the North Kent County Exposure Assessment to evaluate the relationship between drinking water contaminated with PFAS and the amount in the body. Eligible participants will be drawn from households whose water showed detectable levels of PFAS through testing by the Michigan Department of Environmental Quality or the contractor for Wolverine World Wide. All households with PFAS levels greater than 70 ppt and selected households with levels below 70 ppt will be contacted by MDHHS over the next few months with an invitation to participate. Participants must currently live at the home that was tested and must have lived there on or before Jan. 1, 2018. To learn more about the Northern Kent County PFAS Investigation, follow this link. As a reminder, County offices will be closed Thursday, Nov. 22 and Friday Nov. 23 to allow our employees to enjoy the holiday with family and friends. 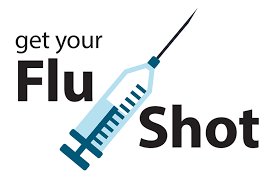 Now is the time to get a flu shot to protect your family before the flu begins spreading in the community. To learn more, follow this link.